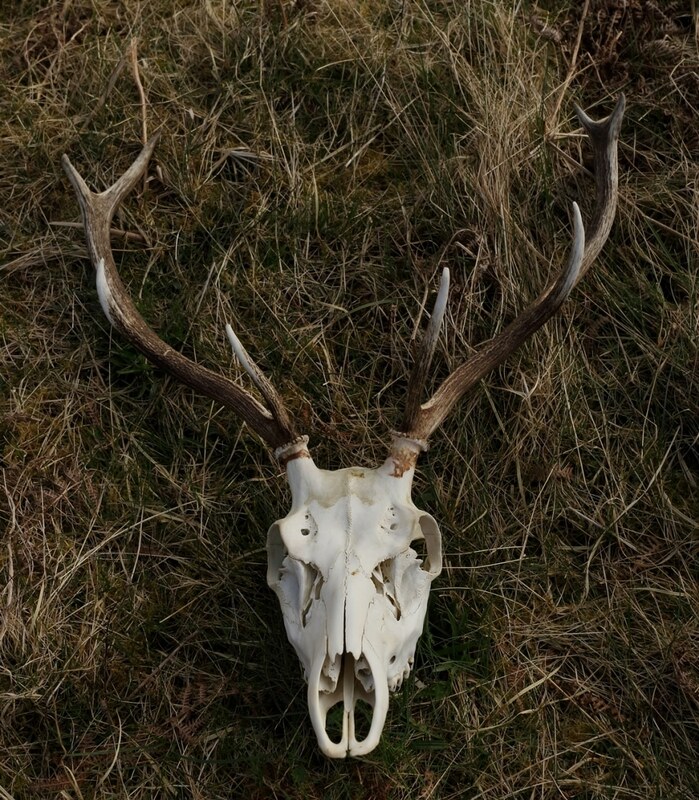 This deer skull with antlers still attached was found in April 2017 near Little Assynt. It’s not often that these are found intact but such a find could indicate that they came from an animal that had died from some natural cause during the winter/spring months. Stags shed their antlers one at a time as the spring/summer progresses and the new set start to grow. It was a great opportunity to look more closely at the structure of the skull and its various bones and ‘sutures’. 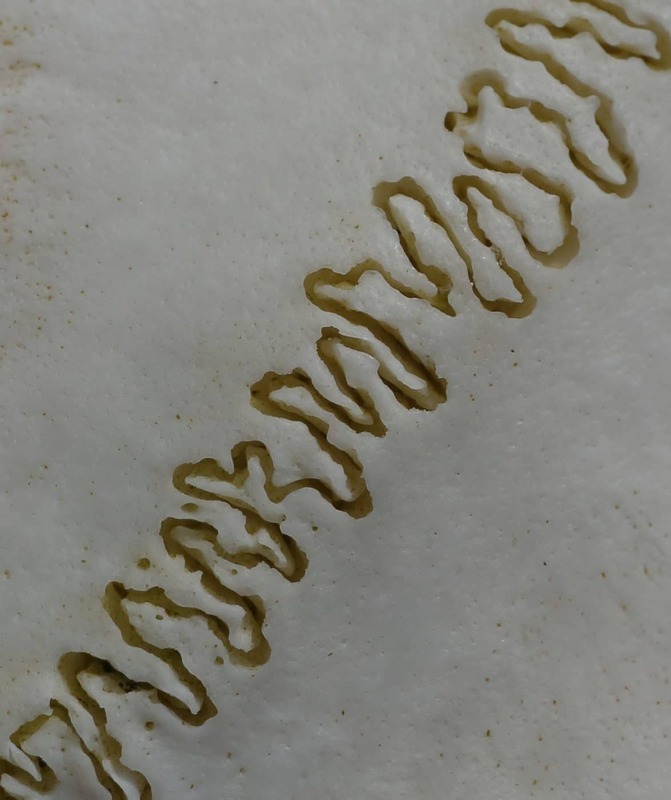 Sutures are the fibrous joints between the cranial bones and the irregular, but incredible, interlocking edges of the bones attached by them give the skull its strength and allow it to absorb impacts so reducing the risk of fractures. The close up photo shows the Sagittal Suture that joins the two parietal bones of the skull, these are the bones the antlers are attached to and that short projection of the skull is called the pedicle. 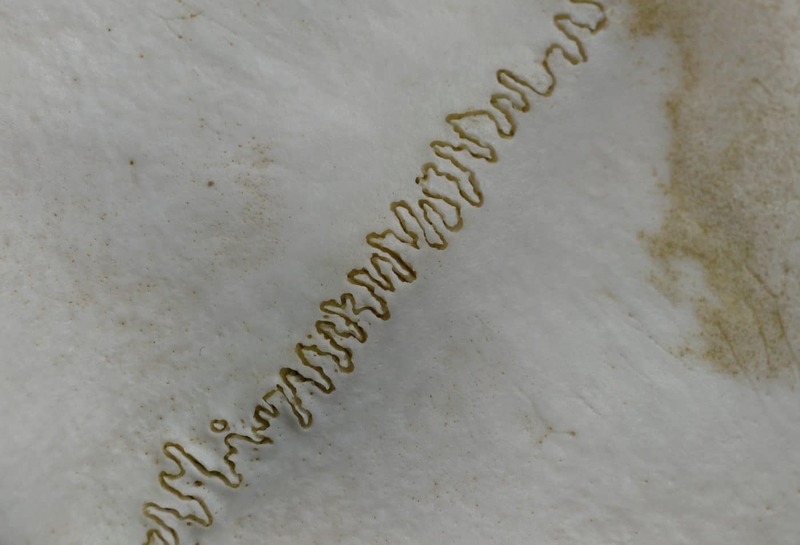 The very close up photo shows the beautiful interlocking structure between these two bones. It may be tempting to want to take such a find home and hang it on the shed wall or even in your hall! Please think carefully before doing that. All that bone and antlers, which are also bone, have had to use energy to develop. But where has that energy come from? The answer is the soil and the grasses, trees etc. which grow in it. If you take this find home then you are removing all the nutrients stored in the bone which can never be replaced. Left to decay the bone will slowly release its minerals and other nutrients back into the soil and so become available for other animals to make use of. Also, other deer in area, along with the likes of badgers, will gnaw on these antlers to extract the calcium, etc. from them. So best thing to do is take a few photos, hang them on your wall, and leave the animal’s remains to be recycled!